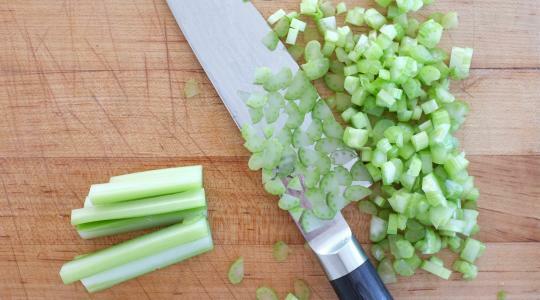 Chop the onion, celery, and garlic. Wipe the mushrooms clean with a damp paper towel and trim the stems. 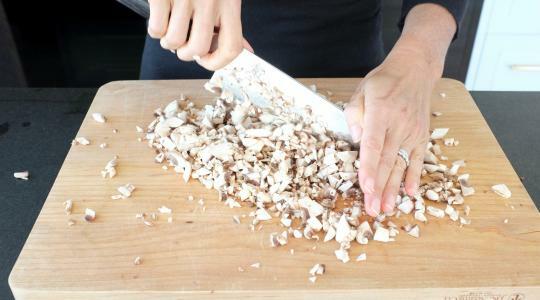 Then finely chop the mushrooms. 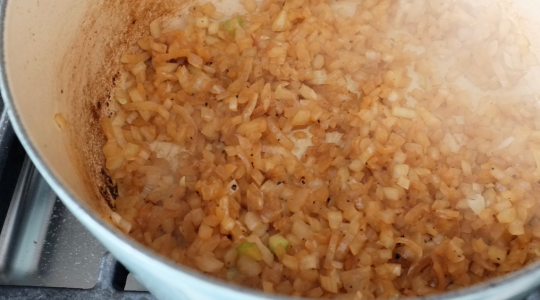 In a large pot, heat the oil over medium-high heat. 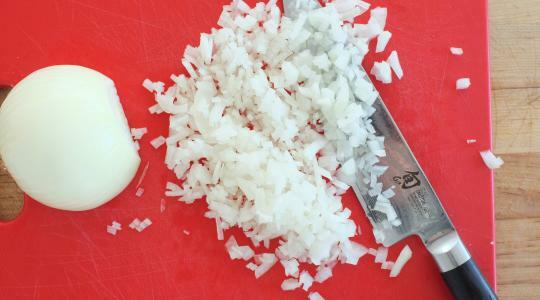 Add the onion and ½ teaspoon of the salt and cook, stirring often, for 4 to 5 minutes, until the onion begins to soften. Add the celery, garlic, and mushrooms and cook, stirring often, for 4 to 5 min­utes, until tender. Add the meat and cook, crumbling with your spoon, for 5 to 6 minutes, until no longer pink. Stir in the tomato paste and cook for 1 minute. Add the white wine and cook for 1 minute. 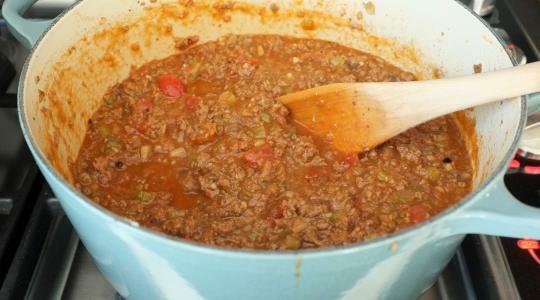 Add the tomatoes, red pepper flakes, black pepper, nutmeg, and the remain­ing 1½ teaspoons salt. Break up the tomatoes with your spoon as they cook. Let the sauce simmer for 15 minutes. Stir in the milk and let simmer for 10 minutes more. Taste and adjust seasoning to your liking. Bring a large pot of water to a boil. Cook the pasta according to the package directions. 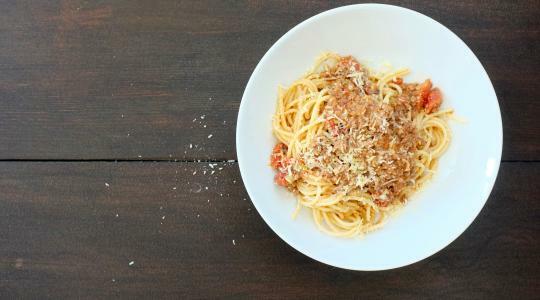 Drain the pasta and add to the Bolognese sauce. 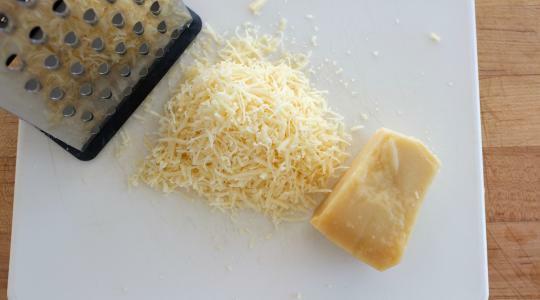 Add the Parmesan. Stir well until the pasta is well coated and the Parmesan is melted. Serve the pasta topped with extra Parmesan.